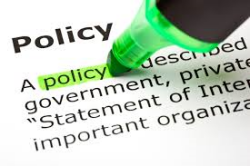 Policies Project: In June last year we approved new by-laws for the Society. One of the reasons for revising the by-laws was to remove operational clauses that were misplaced in the by-laws and combine them with material in the Society’s Operations and Procedures Manual. This has been reorganized as a series of policies which complement the new by-laws by providing more detail on how particular aspects of the Society are run. The new by-laws and policies, some of which are still being revised, are available on the Society Website along with a brief explanation of the governance of the Society. You can also learn about what is happening at the STLHE Board level by looking through the Executive summaries of the Board’s meetings posted online. 3M Fellow’s Profiles and Speaker’s list: This year marks the 30th year of the 3M National Teaching Fellowship and the 31st cohort of Fellows will be celebrated at STLHE 2016 in London this June. As part of the celebration, the 3M Council has posted the profiles, including pictures, of all 298 Fellows on its website. The list can be sorted by year of award or alphabetically. The Council has also created a Speakers list identifying 3M Fellows who are willing to give talks and presentations on different topics related to their expertise and experience in Higher Education. Update your profile and join EDC or a SIG? Data for STLHE members is managed by the Wild Apricot Membership software and renewal notices, announcement and email blasts like this are sent through their website. You can update your contact information and profile anytime by following the link to the STLHE Members Center. While you are updating your profile, why not consider joining the Educational Developers Caucus (EDC) or one of the Society’s Special Interest Groups: College Educators Community (CSEC), Teaching Assistants and Graduate Students Advancement (TAGSA), and Scholarship of Teaching and Learning Canada. 3M National Student Fellowship: Nominations close January 16, 2016. CJSoTL: Deadline for submitting an application for one of the three Associate editors position is January 18, 2016. MIIETL Summer Institute on ‘Students as Partners’ May 2-5, Hamilton, Ontario. Submission deadline February 12, 2016. EDC 2016 Annual Conference: Educational Developers without Borders, Hosted by the University of Windsor and St. Clair College. Keynote speakers include David Green from Seattle University and Mary Wilson from Niagara College. February 16-18, 2016. – Nominations close March 2, 2016. HEQCO’s 6th Annual Conference: Transitions: Learning across borders, sectors and silos, March 23-24. Toronto, Ontario. Conference registration opened November 10, 2015. STLHE 2016: Empowering Learners: Effecting Change. Hosted by Western University and Fanshaw College June 21-24, 2016. 3M National Student Followship: Nominations close January 16, 2016.